In order to understand the complexity of EHPLabs OxyWhey, we need to first understand where whey comes from and how the body responds to its multiple forms – plain, isolate and concentrate. Whey Protein is extracted from milk and contains the highest, purest form of branch chain amino acids. These are also the easiest BCAA’s for the body to absorb, making whey protein the most effective ingredient in any protein-based food supplement that is intended to help build solid, lean muscle. The downside of plain Whey Protein is that it can be slow to digest and often doesn’t mix well into liquids. While formulas have definitely gotten better with time and research, whey alone still proffers a slightly gritty protein drink many in training find disagreeable and can bring about a bit of bloating along the way. Whey Protein Isolate is a filtered version of whey protein, yielding approximately 90% protein (by weight). It is almost completely lactose free making Whey Protein Isolate even more attractive as the lack of lactose allows the supplement to dissolve easier and absorbed into the system faster, without the bloating or tummy discomfort that can be associated with normal whey absorption. In lessening the negative side effects and being more soluble in water, Whey Protein Isolate helps to produce a more appealing final product. It also opens the door for lactose intolerant people to enjoy the benefits of a Whey Protein supplement. 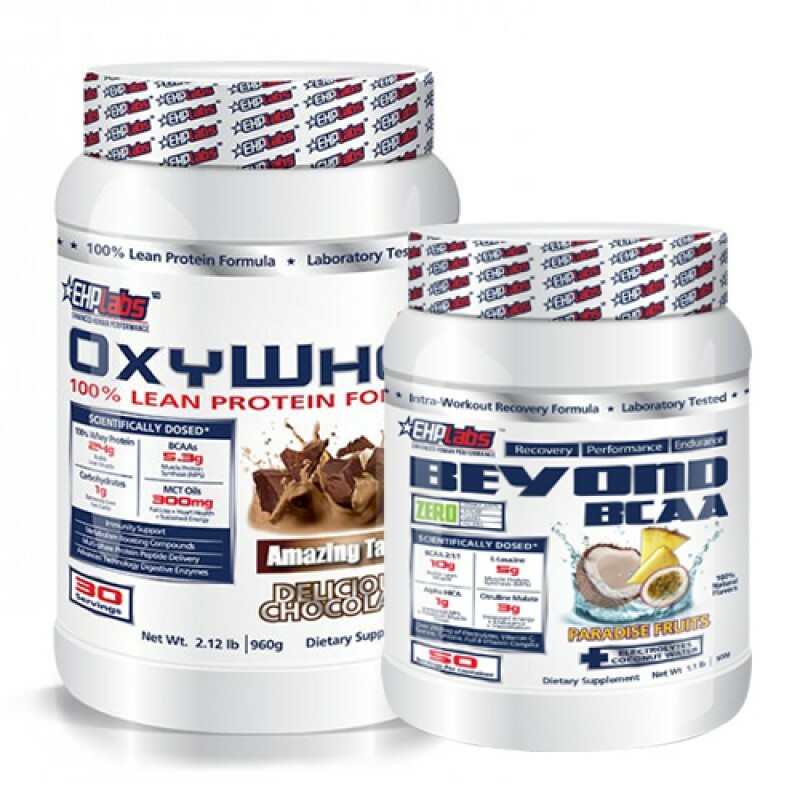 OXYWHEY LEAN PROTEIN is a genius merging of whey protein extracts in their different forms to create a water soluble, quick-absorbing protein supplement that also contains just enough slow-acting whey protein to provide a time release action of amino acids that then carry you through your workout and your day. It is a formula that absolutely presents the best of all possible scenarios in Whey Protein absorption which means more muscle gains, faster muscle recovery and longer-lasting results. ...and a host of other vitamins and minerals to address the body’s health and well-being. Take OxyWhey Lean Protein first thing in the morning to boost your metabolism and help regulate your appetite. 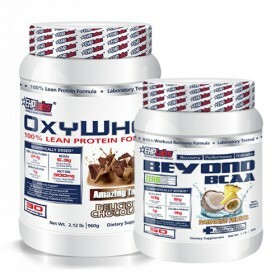 Use OxyWhey as a pre-workout meal approx. 1 hour prior to training and again immediately after training to help with muscle recovery, lean muscle development and continued fat loss. 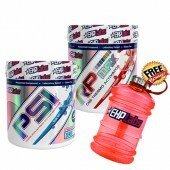 Between meals EHPLabs OxyWhey can be used to replace high calorie snacks and to help curb sugar cravings. BEYOND BCAA is the newest success story from EHPlabs. Using their tried and proven formula (a branch chain amino acid ratio of 2-1-1 between leucine, iso-leucine and valine) combined with other ingredients to produce an incredibly effective performance enhancing bodybuilding supplement. Citrulline Malate to improve delivery of nutrients throughout the body and increase blood arginine levels. Citrulline Malate also works with other amino acids to assist in the removal of toxins, alleviating fatigue and soreness of the muscles. Taurine & Tyrosine cobine to improve mental acuity and promote stamina, focus and energy renewal. Tyrosine prepares the body for the onset of adrenaline – an important part of any good workout – and eliminates the jittery side-effects produced by other formulae. Then the Tyrosine follows through by inhibiting stress hormones, thereby helping to maintain well-balanced mood levels. Full Spectrum B Vitamin & Electrolytes work together in BEYOND BCAA to replace those elements the body uses up during hard training such as much-needed sodium levels for maintaining natural hydration and the body’s overall health. BEYOND BCAA utilises their own science-based formula of combining exact amounts of three essential amino acids - leucine, iso-leucine and valine in a proportional ratio of 2 to 1 to 1 respectively. 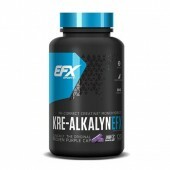 This formula produces a potent vehicle for muscle protein synthesis and recovery. The sadditional ingredients only improve on the formula making BEYOND BCAA one of the top protein supplements on the market. Before and/or During any bodybuilding or cardio excercise activity to minimise catabolism (the breaking down of muscle and tissue). With Meals to encourage muscle protein synthesis. Any Time of Day to reduce muscle soreness, fatigue and assist recovery.